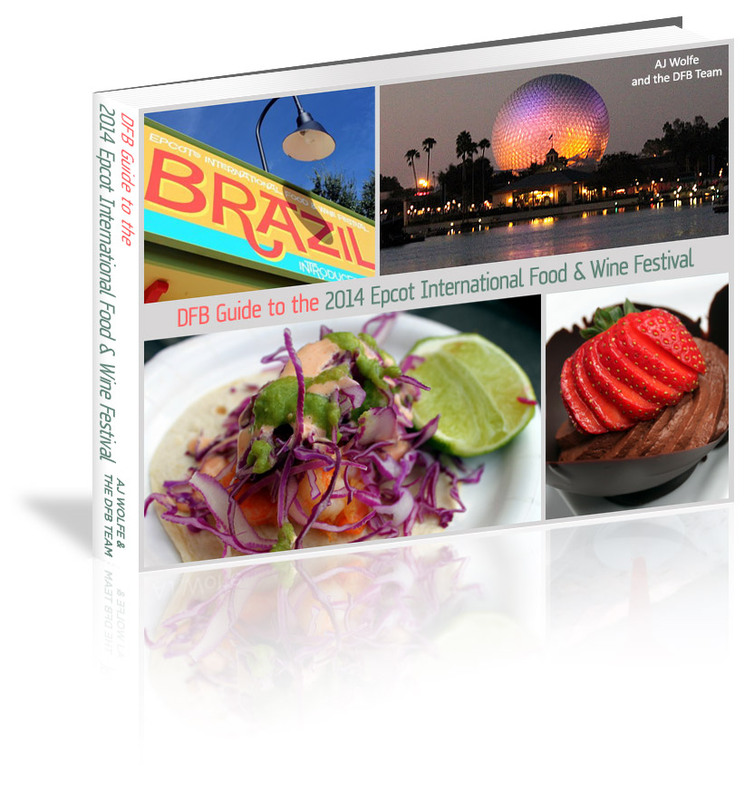 The 2014 Epcot Food and Wine Festival is RIGHT around the corner! With the countdown at just about a week now, we know that you’re just as excited as we are. 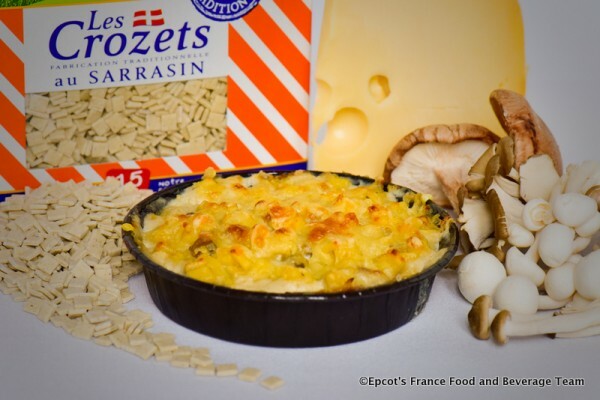 Today we wanted to spotlight the NEW items that are coming to the menus at the World Showcase Marketplace booths this year. And with more than 30 new dishes and sips to sample this year, there’s plenty to experience! We had the chance to try a sample of the brand new South African Bobotie with Turkey and Mushrooms from the Africa Marketplace and loved it! The egg dish packed a spicy punch when we tried it at a preview. Lovers of South African wines will also appreciate the addition of the Fairview Pinotage to the menu. If you love the flavors of Fall, get ready to try the Apple Maple Spice Latte at the America Adventure Coffee Cart in the America Pavilion. It’s available hot or cold! Always a fan favorite, the Australia Booth will feature a new lineup of beverages this year, including Cooper’s Brewery Original Pale Ale, Chateau Tanuda Grand Barossa Dry Riesling, St. Kilda Chardonnay, and Nine Stones Shiraz. The menu looks to complement classic Food and Wine Festival dishes like the Grilled Lamb Chop with Mint Pesto and Garlic Shrimp with Roasted Tomatoes, Lemon Myrtle and Rapini. At the Belgium Marketplace, we’re seeing another hot trend — hard cider. 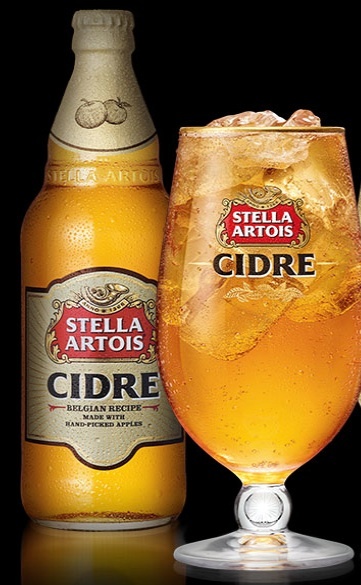 We think that the Stella Artois Cidre will be a big hit with festival goers who are looking for a refreshing alternative to beer. The Block & Hans Kiosk features a regular assortment of craft beer, but for the festival, they’ll add wines to the mix as well. Enjoy a bevy of American wines, which will include all of the following! 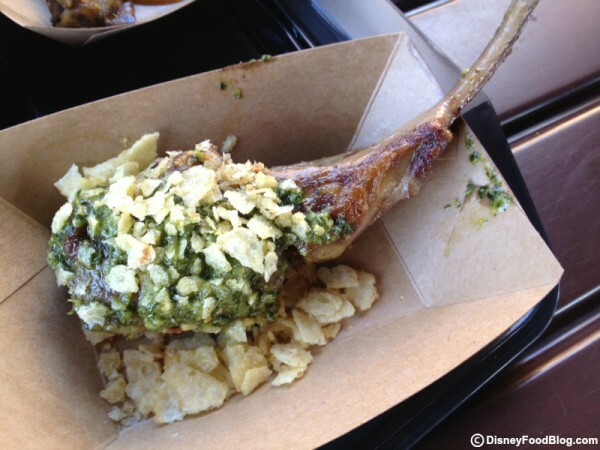 While Brazil brings back a favorite menu item from 2013, the Pork Belly, there are several new items to savor as well. 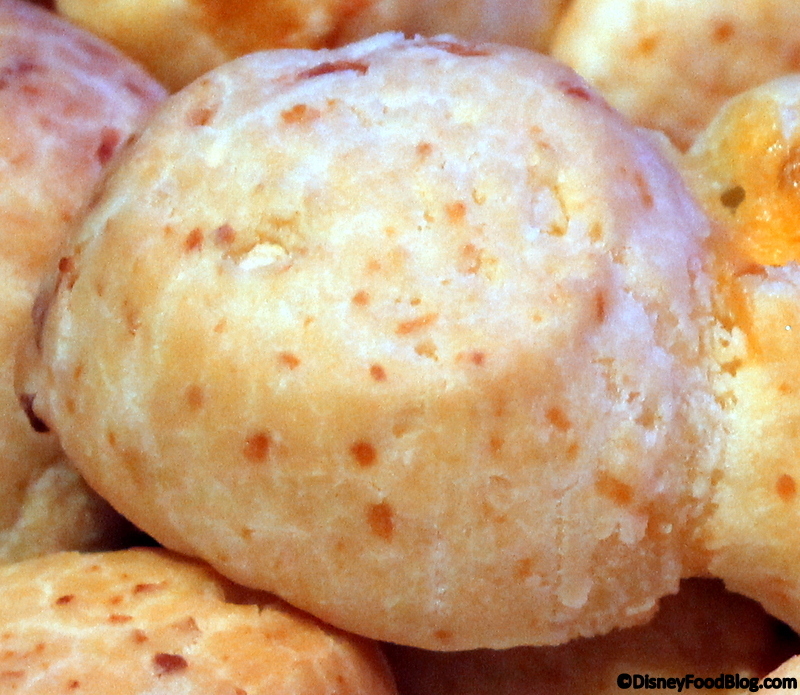 We enjoyed the Pao de Queijo (Brazilian Cheese Bread) recently, and can’t wait to see how it’s presented at the festival. We’re also intrigued by the Cocada (Brazilian Coconut Candy)! The Brewer’s Collection Booth continues to play host to a variety of German beers, including BraufactuM, a pioneer in the German craft beer industry. Beer lovers can sample two additional BraufactuM Beers in this year’s lineup in addition to other well-known names. 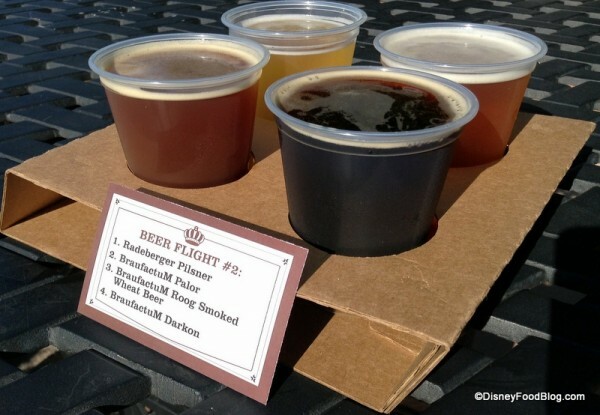 Take advantage of Beer Flights to compare and contrast flavors and styles! Bubble Tea has been making a big splash at the last couple of Epcot Flower and Garden Festivals, and it’s popping up at Magic Kingdom’s Mickey’s Not So Scary Halloween Party, too. So we’re excited to see Mango Green Tea with Popping Bubbles featured at the China Marketplace! 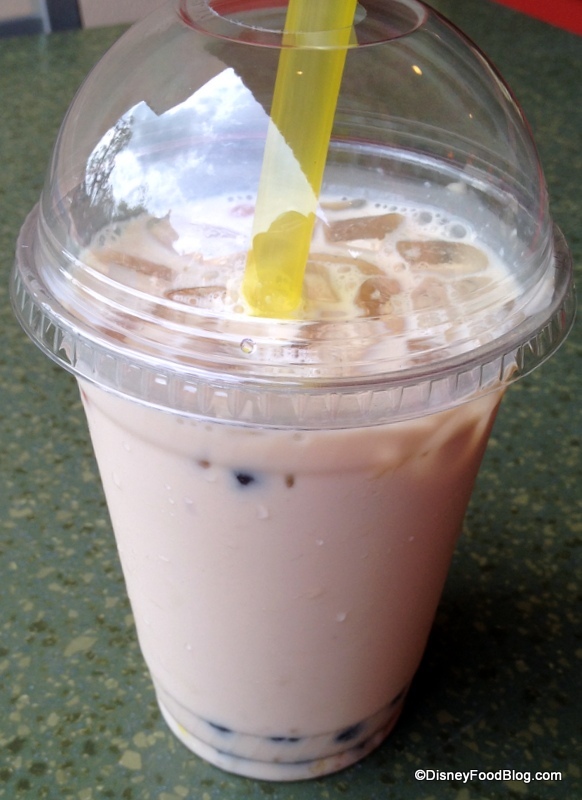 Popping Bubble Tea From 2014 Epcot Flower and Garden Festival — We Can’t Wait to Try The Latest Version! Also new to China is a Beijing Roasted Duck in a Steamed Bun with Hoisin Sauce. Yum! 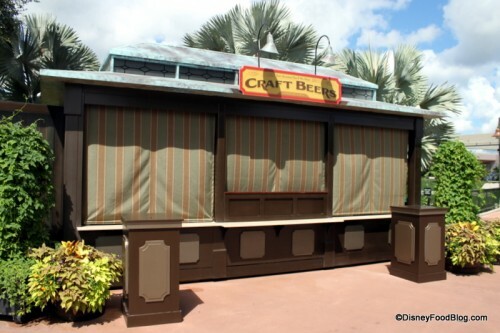 Whereas the Brewer’s Collection plays host to German Beers, it’s all American, all the time at the Craft Beers Kiosk! Try an all-new lineup this year, which features different selections from some returning brewers — plus newcomers to the festival, like Shiner and Florida Beer Company. 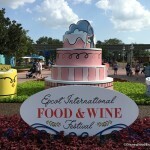 The Desserts and Champagne Kiosk is always a fun stop for inventive takes on sweet treats. We often see hot trends explored here. The Passion Fruit Coconut Creamsicle promises to be a fun new addition! 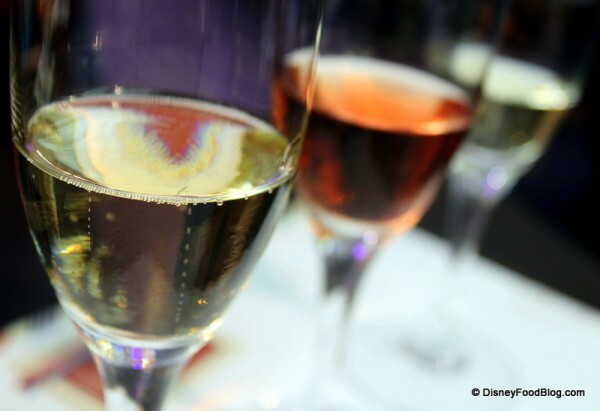 And who can resist sipping a glass of Dom Pérignon? For 2014, the former Florida Fresh Marketplace will morph into the Farm Fresh Marketplace. The booth’s refocus gives the culinary team an opportunity to utilize fresh, local flavors from surrounding states, in addition to Florida. 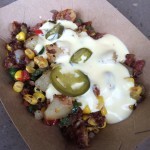 We’ve had a chance to try the Nueske’s® Pepper Bacon Hash with Sweet Corn, Potatoes, Hollandaise, and Pickled Jalapeños. 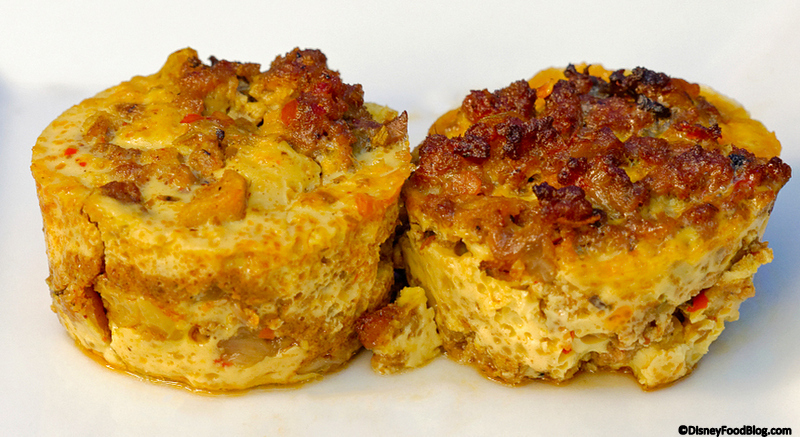 It’s a great take on a much-loved breakfast dish. We’ve also had the pleasure of trying the Griddled “Yard Bird”. It’s incredible! Skin-on Chicken Thigh Meat is seasoned and then cooked on a griddle under a weight. The effect produces meat that is perfectly juicy with crisp skin. Simple and delicious! 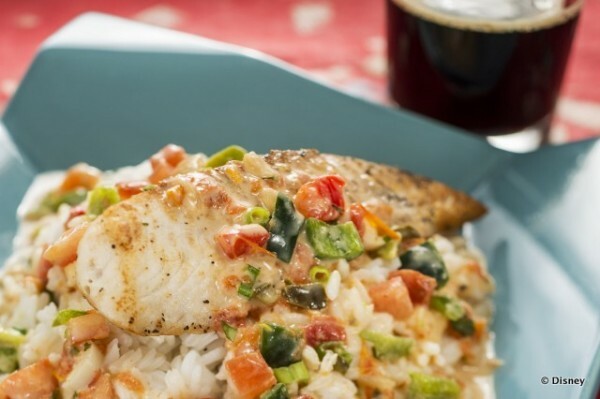 The sweet-spicy Habanero Sauce that tops the chicken complements the textures and seasoning beautifully. The dish is served with a hearty helping of another Southern favorite — Braised Greens. Collard Greens and Kale make up the dish for just the right mix of flavor and texture. The greens are seasoned with Onion and Bacon. I’m not even a big fan of greens — but these were pretty great. 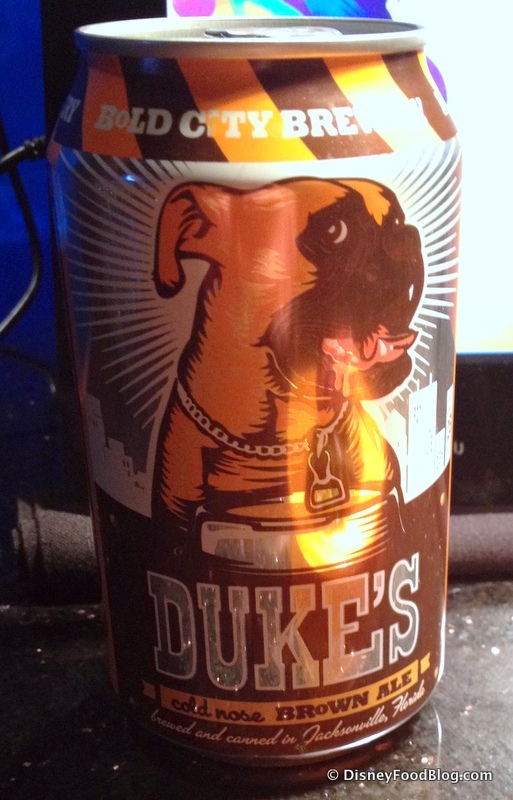 In keeping with the theme of local food and drink, the pairing with this dish is Duke’s Cold Nose Brown Ale — brewed and canned right in Jacksonville. 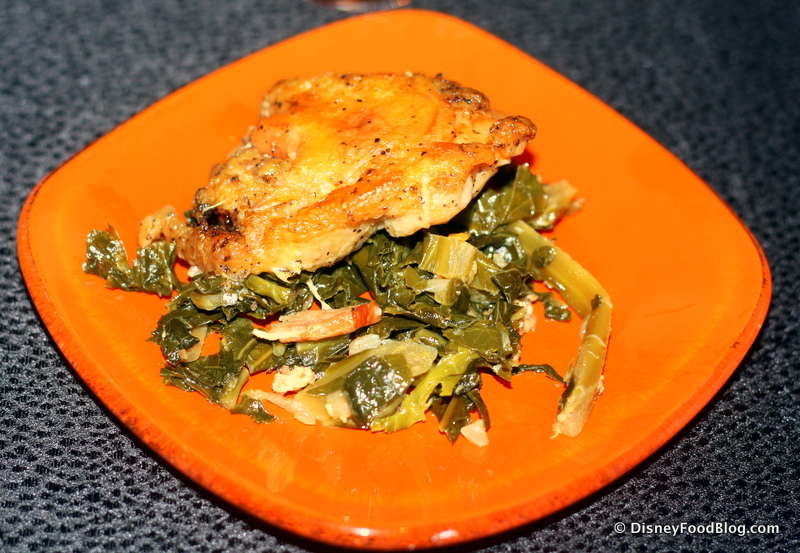 The hearty Brown Ale is a great pairing with the Griddled Yard Bird and Greens. Here’s a complete list of all the new flavors you’ll find at Farm Fresh this year! You’ll find a crazy fun craft beer to try at Fife & Drum — MmmHops! If that name brings with it visions of 90s pop music, then you’re on the right track. 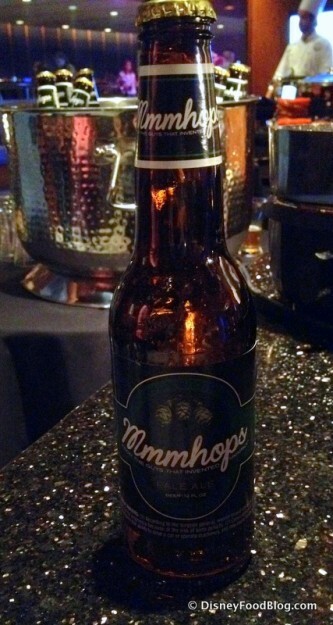 MmmHops Pale Ale is the brainchild of the brothers (and music group) Hanson — who will perform during the festival’s Eat to the Beat Concert Series! If ice cream’s more your thing, Fife & Drum will also feature a Ghirardelli Ice Cream Sundae for the festival as well! The France Marketplace is always an exciting spot to check out while you Eat and Drink Your Way Around the World, and 2014 is no exception. The culinary team here has come up with some amazing new flavors. 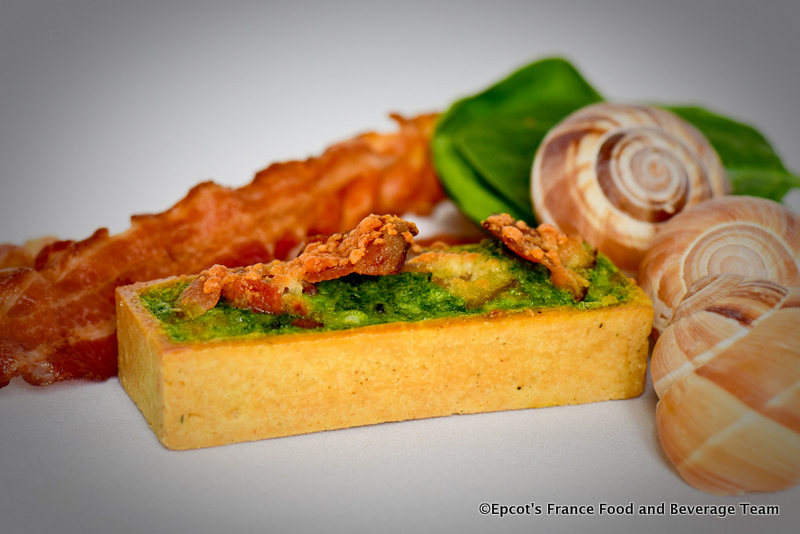 Tops on our list to try will be the Tartelette aux Escargots, a savory tart combining Escargot with Garlic, Spinach, Bacon, and Parmesan. 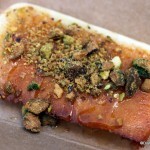 The tart will replace a festival classic. The Gratin de Crozet de Savoie, or Wheat Pasta Gratin with Mushrooms and Gruyere Cheese, is sure to be an instant hit. It sounds amazing, and we can’t wait to try it! 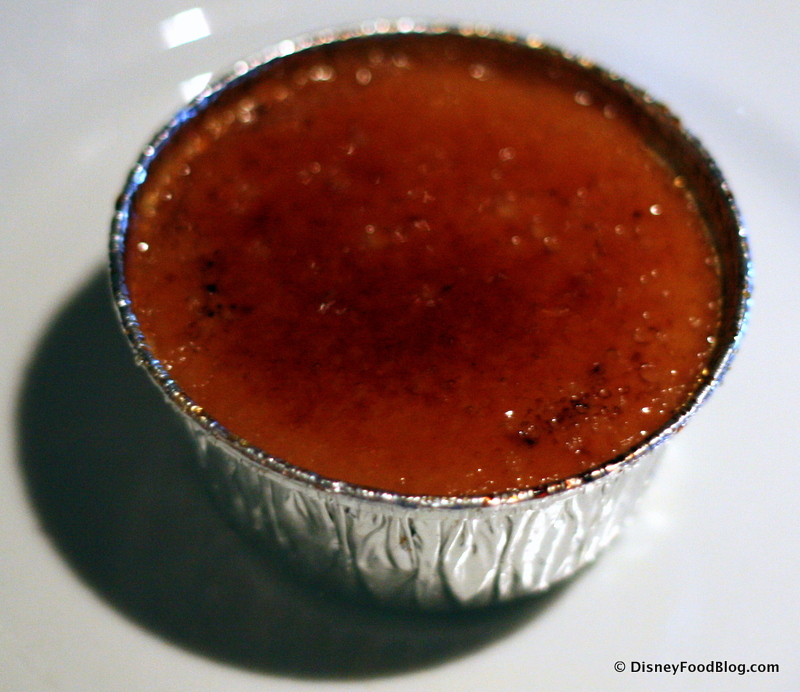 Crème Brûlée has been a popular dessert here for a while now. 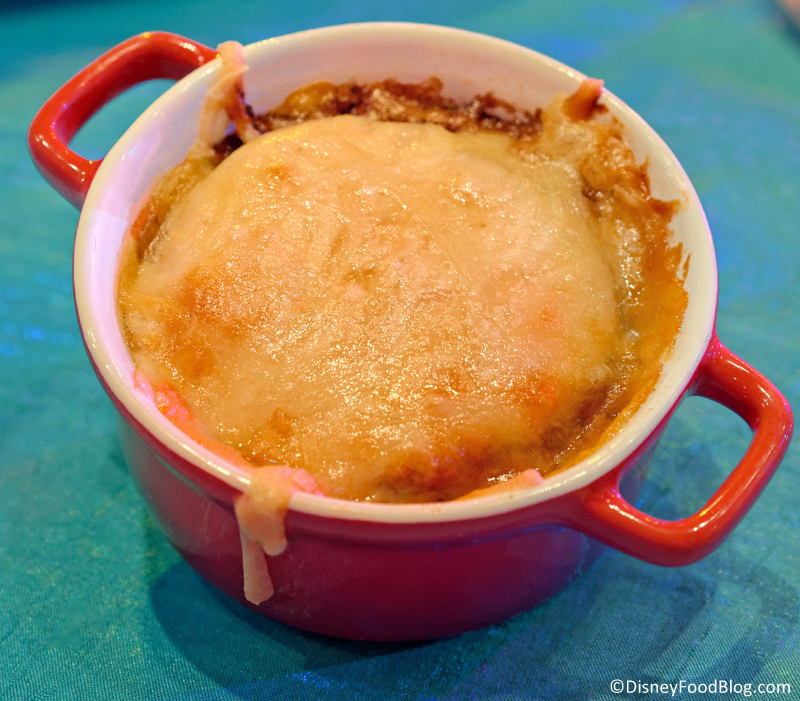 Capitalizing on another hot food trend, this year’s version features the flavors of Caramel Fleur de Sel. We sampled it recently, and really enjoyed the deep caramel flavors. A thousand apologies that I didn’t actually get a snap of what’s underneath that beautiful sugar shell. The caramel flavor really comes through in the custard itself. I have a feeling this is another dish that will garner rave reviews! Also new at the France Marketplace this year is the La Passion Martini Slush, replacing the Eiffel Sour Slush from the past two years. Is it possible that the Germany Marketplace won’t be our one stop shopping spot for Apple Strudel this year??? Well, thank goodness we have a recipe to make it at home! In the meantime, we are dying to try the Berliner, a Yeast Doughnut Filled with Apricot Jam! Jelly Doughnuts are ALWAYS a good option in my book. A new wine, Kallstadter Kobnert Spaetburgunder Spätlese Dry Barrique Style, also debuts. There are lots of returning favorites at the perennial favorite Greece Marketplace. 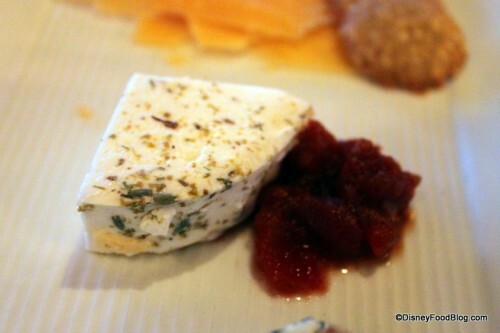 But we really enjoyed the Vegetarian Moussaka at a recent preview event! The dish maintains all of the rich flavors of the original, but lightens up the protein component by using Soy Crumbles in place of meat. What would we do without the Kalua Pork Slider at the Hawai’i Booth? Fortunately, we don’t have to figure that out this year! But there are a couple of new additions to the beverage lineup. 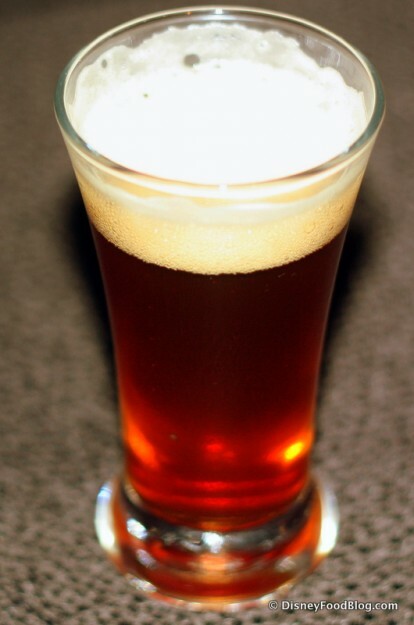 Enjoy a new offering by Kona Brewing Company, Castaway IPA. Lovers of dessert wines may want to give Maui Splash Sweet Pineapple wine a try. And this year’s version of the Aulani Sunset features Sammy’s Beach Bar Rum. You’ll find a celebration of American flavors at the Hops & Barley Marketplace. 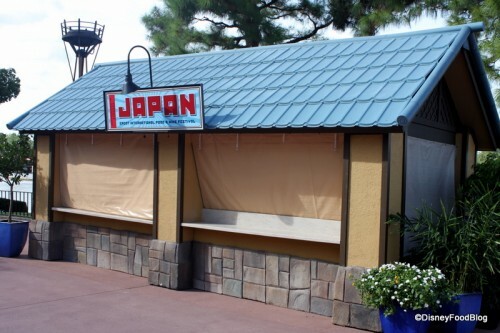 A hot spot of both food and drink, the offerings here make a complete meal! The Cheese Booth is taking a break in 2014, so we’re seeing the addition of an Artisan Cheese Plate at Hops & Barley. The plate will feature some artisan cheeses we’ve enjoyed at Disney restaurants, including Purple Haze Chevre and Caveman Blue. The Florida Grass Fed Beef Slider returns to the festival at the Hops & Barley Booth this year — but it features a new topping. House-made Pimento Cheese is having a bit of a moment in culinary circles, and you’ll find it here topping this two-bite burger. 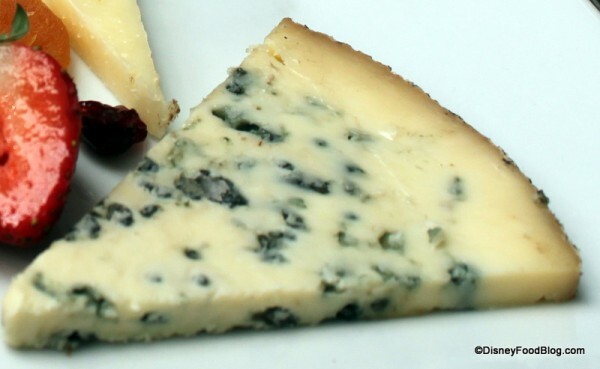 It’s creamy with a bit of a kick. 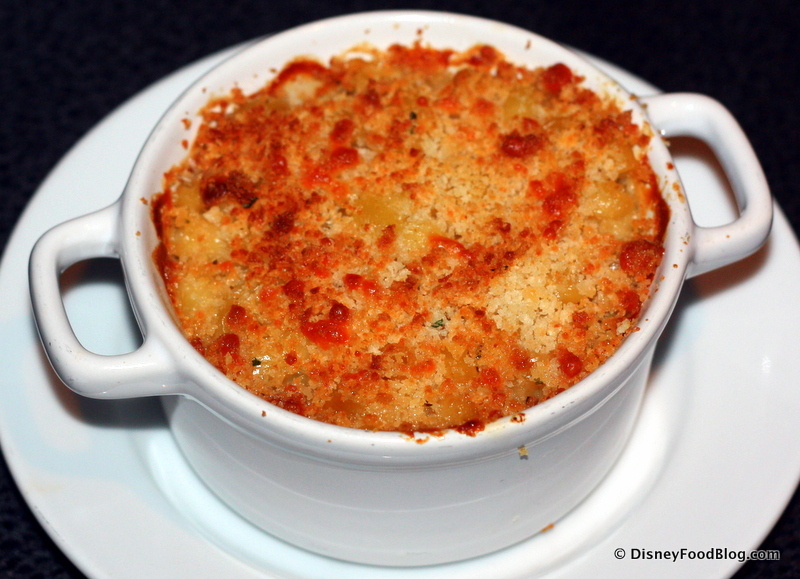 Lobster has been a mainstay in this corner of the festival for a few years, and this year, we’re seeing a new comfort food dish — Baked Lobster Alfredo. Under the Breadcrumb Crust, we found Pasta and chunks of Lobster Meat tossed in a rich Alfredo Sauce. With a consistency that’s a little drier than mac and cheese, fans of comfort food will still likely enjoy this upscale version of a kid’s classic. 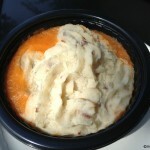 We’ve sampled the Carrot Cake with Craisins and Cream Cheese Icing from the Hops & Barley Marketplace as well. 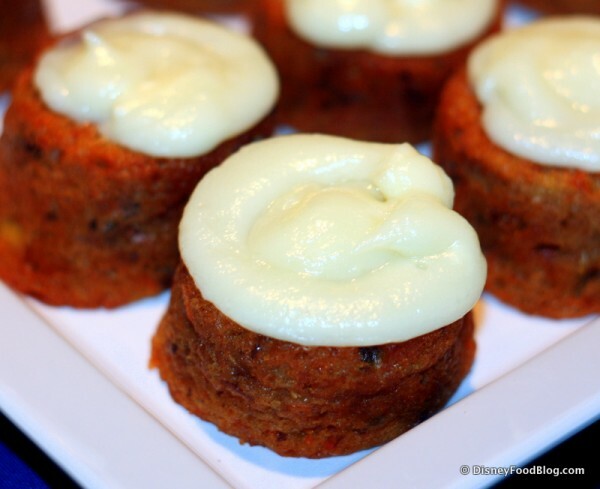 Carrot Cake fans will enjoy the moist cake and classic Cream Cheese Frosting. The addition of Craisins lends a seasonal flair and an additional pop of fruit flavor. I love the additions of the shandies. While most of our favorites from past years made the menu again at the 2014 Ireland Marketplace, we are looking forward to sampling a brand new beverage option Kerrygold Irish Cream Liqueur. We look forward to trying a brand new dish at the Italy Marketplace this year — Filetto di Pollo, con Funghi al Marsala. The dish, which features Chicken Tenderloin and Cremini Mushrooms served on Ciabatta with a Marsala Sauce, sounds heavenly! Italy is also replacing the popular Italian Margarita with the Frozen Primavera. 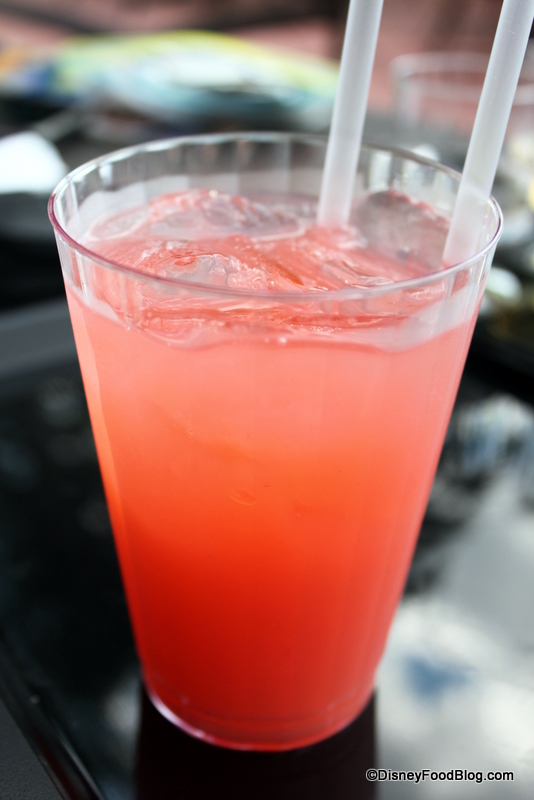 Featuring Limoncello and Tequila, this is similar to the cocktail we enjoyed at the 2014 Flower and Garden Festival. There are lots of new flavors to check out at the Japan Marketplace this year! The Teriyaki Gyoza Bun stuffed with Chicken, Vegetables and Sweet Teriyaki Sauce sounds like a winner. The Chirashizushi promises to be a show stopper as well with its combo of Salmon, Shrimp, Crab, and Egg, all served on a bed of Seaweed Salad and Ginger Rice. Sake takes center stage in new drink options and a new dessert. Try Kikusui Ginjo alone, or sample the Sake Sunrise. 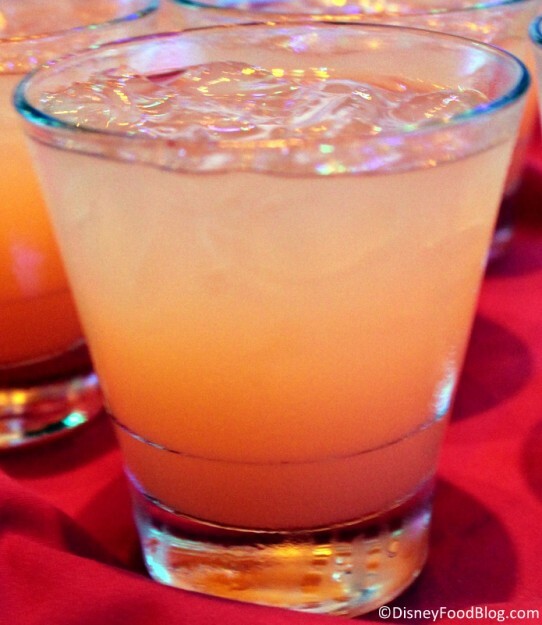 Save room for something sweet with the Sparkling Peach Sake Gell. Ooooh — we’re intrigued! 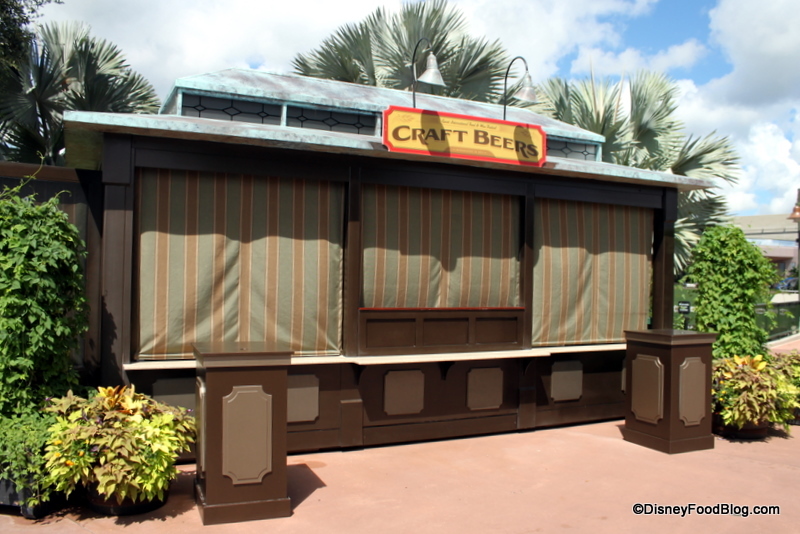 There are lots of returning flavors at the Mexico Marketplace in 2014 as well, but they are changing up the dessert and beverage offerings just a bit. I’m not a fan of the Sweet Corn Ice Cream at La Hacienda de San Angel, but lots of people are! 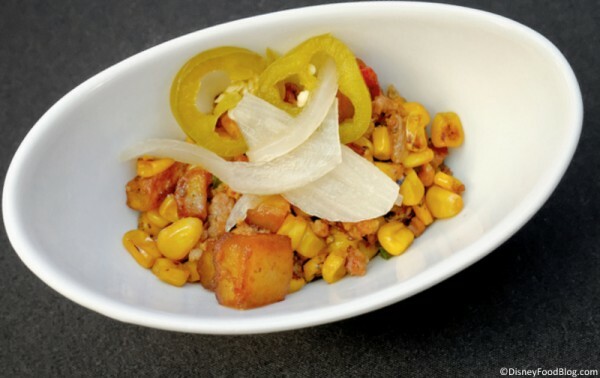 We’re anxious to see if the Sweet Corn Cheesecake here will bear any resemblance to it. 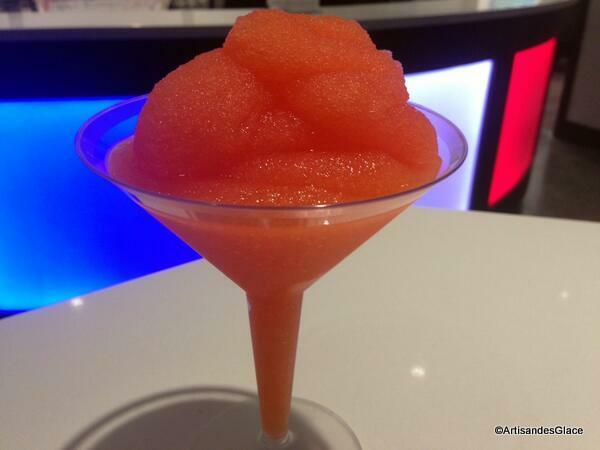 Last year, festival guests enjoyed the sweet and spicy Mango Habanero Margarita at the Mexico Booth. 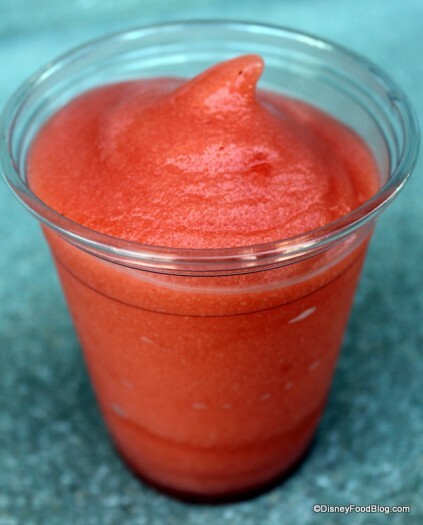 This year’s menu will feature a Mango Strawberry version. Frozen or on the rocks? We look forward to finding out! This year, the Harissa Chicken Roll will make way for a new item on the Morocco Marketplace Menu — the Spicy Shrimp Roll with Cilantro and Mint Sauce. We hope the flavors are similar to one of our favorite Spice Road Table dishes, the Spicy Shrimp. 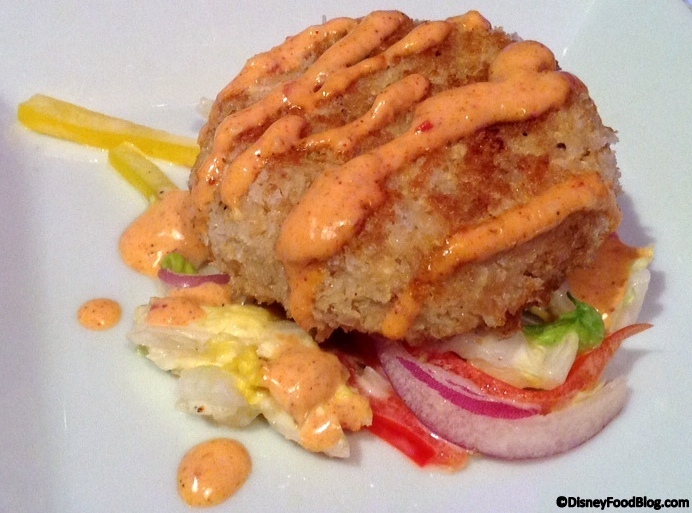 We’re Hoping the Spicy Shrimp Roll is Similar to Spice Road Table’s Spicy Shrimp! 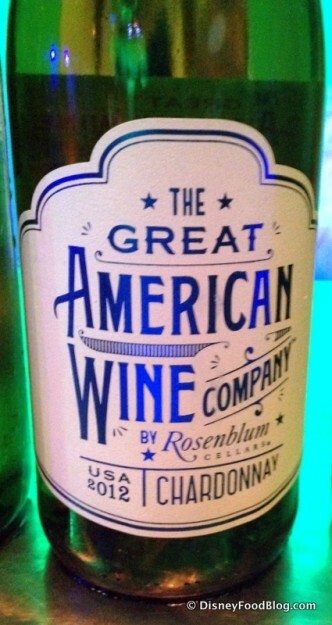 Guerrouane White, a wine that’s new to the booth, but featured at Spice Road Table will also be featured. 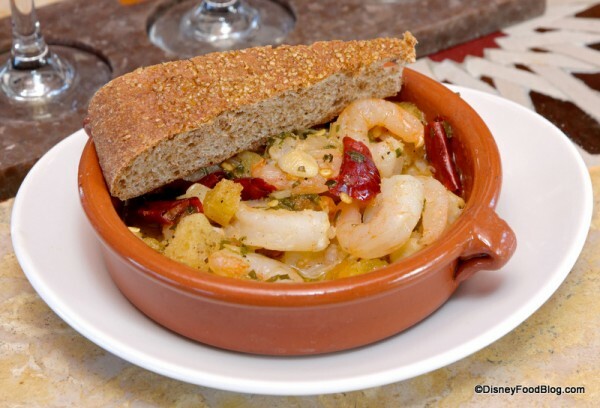 I expect the citrus notes of the wine to pair nicely with the savory, herbal flavors of the shrimp. Patagonia makes its debut this year, taking the place of the super popular Argentina Booth. Expanding the focus to this important South American region allowed chefs to bring in flavors of neighboring Chile as well. The Roasted Verlasso Salmon with Quinoa Salad and Arugula Chimichurri from the Patagonia Marketplace is an exciting dish, as it features Verlasso Salmon, a sustainably farm-raised fish with high marks from conservation watch groups. 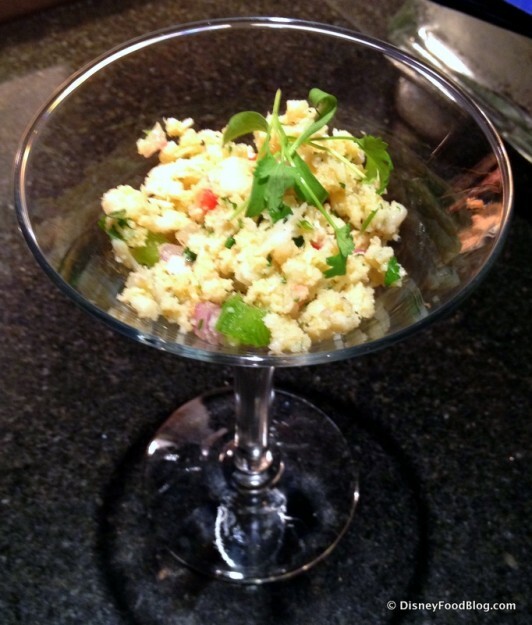 The Quinoa Salad is one of our favorite side dishes that we’ve tried so far. There’s so much flavor packed into it! Check out this recipe and try it at home — it’s a great way to utilize Quinoa, a protein-rich grain from South America that continues to grow in popularity. 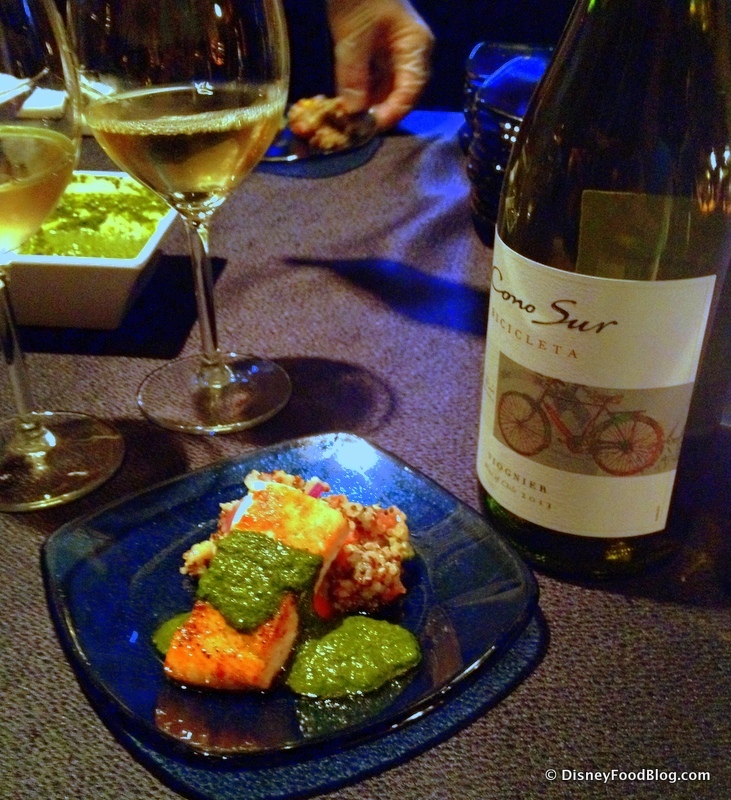 The Salmon pairs wonderfully with the Cono Sur Bicicleta Viognier. Prefer a Rose? Try Cono Sur Bicicleta Pinot Noir Rosé instead. We’ve grown accustomed to seeing Pierogis at the Poland Marketplace. But 2014 offers two versions of this favorite, and a different twist on the classic. This year, try a Pierogi filled with tangy Sauerkraut and served with a hearty Pork Goulash. The pairing here is something special as well. 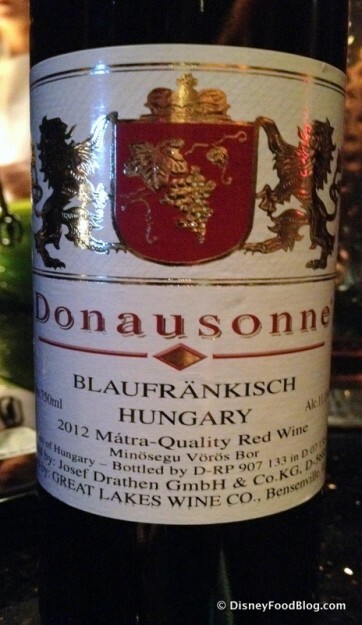 Donausonne Blaufrankisch is a Red Table Wine that’s actually Hungarian. 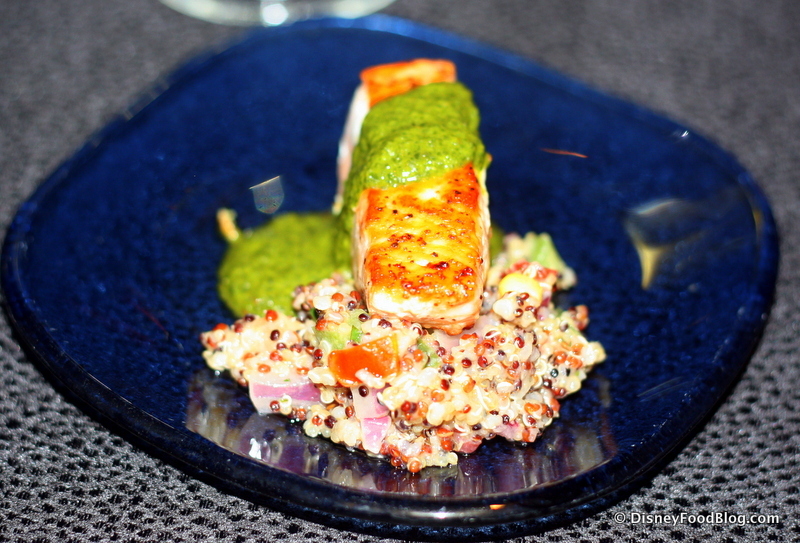 While the flavor profile of the blend is definitely sweet, it plays off of the rich flavors in the dish very well. And how often can you say you’ve tried Hungarian wine? The Puerto Rico Marketplace will be a festival centerpiece in 2014. Executive Chef Jens Dahlmann has spoken excitedly about the authentic flavors that will be offered here. He hinted that the Marketplace itself will be something pretty special as well. We can’t wait to see it! Recently, we had the chance to sample the Ensalada de Currucho, or Caribbean Conch Salad. 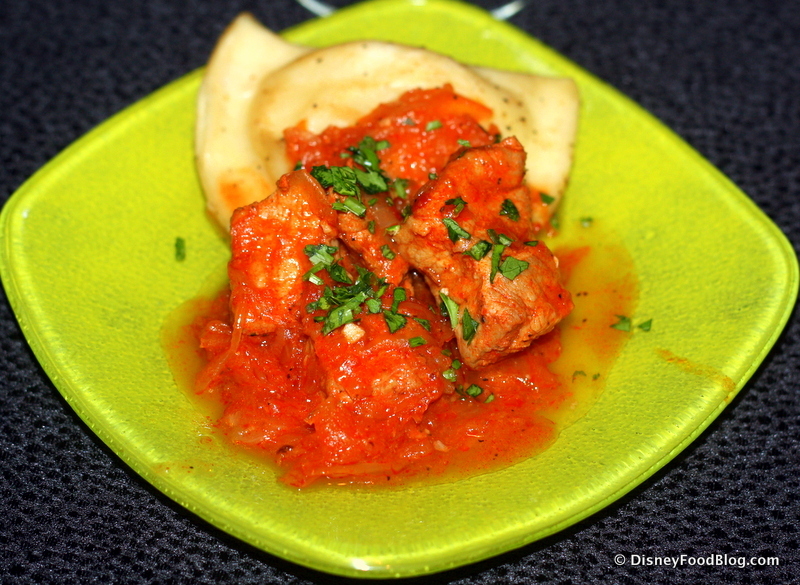 The cold dish features cooked Conch Meat combined with Onion, Tomato, and Cilantro. 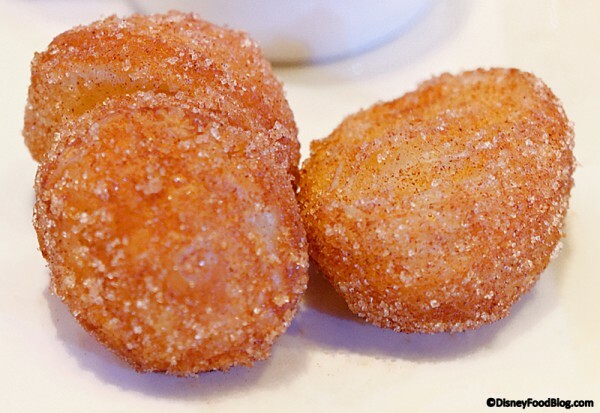 Guests can also enjoy a selection of Frituras, an assortment of deep fried snack food that’s popular in Puerto Rico. Selections will include Sorullitos (Sweet Polenta Fries) and Bolitas de Queso (Cheese Fritters with Mayo Ketchup). Another traditional dish, Carne Guisada con Arroz Blanco, features Slow-Braised Beef on a bed of Puerto Rican-Grown Rice, is comforting and delicious. 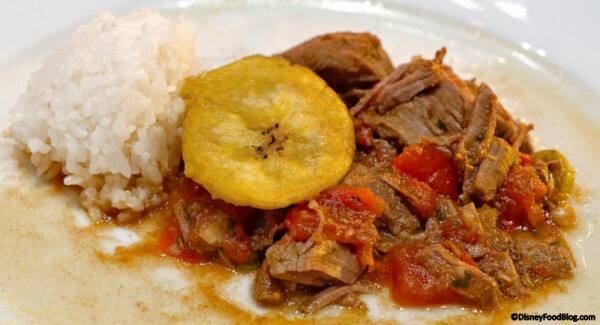 FlanCocho (Vanilla Caramel Custard with Chocolate Coffee Cake) will round out the food offerings at Puerto Rico. 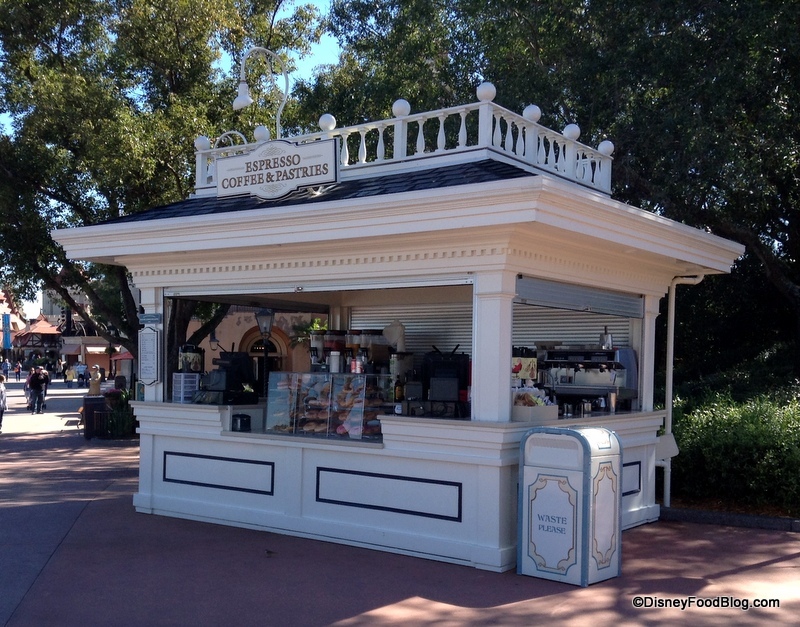 Refreshment Cool Post, the cool outpost as you round the bend in World Showcase, continues its tradition of treats to cool you off. 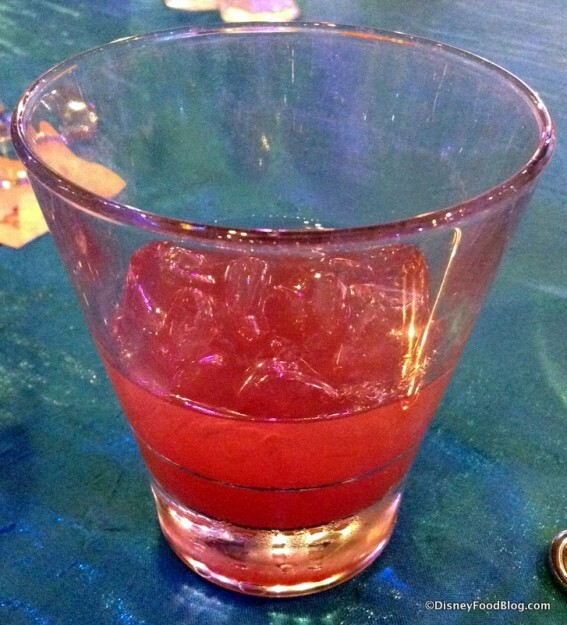 Stop by for a Mango Star, featuring African Starr Rum. 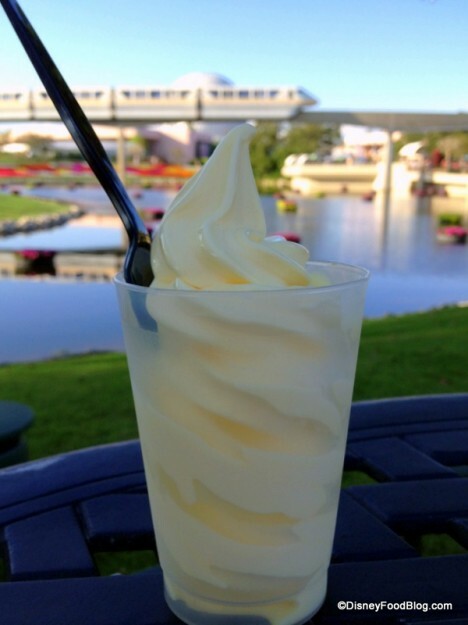 Refreshment Port at the entrance of World Showcase will be your one stop spot for all things Dole Pineapple-related — including Dole Whips! Pineapple Dole Whip Makes Its Debut at the Epcot Food and Wine Festival! Stop by for savory bites featuring the tropical fruit, or enjoy Dole Whip — with or without the addition of Crème de Cacao White. Check out the full listing on new offerings here! The Scotland Marketplace debuted in 2013 and is back this year sporting several new menu additions. Don’t worry though — the Vegetable Haggis is still available! If you’re looking for new flavors, try the Fresh Potato Pancake with Smoked Scottish Salmon and Herb Sour Cream. 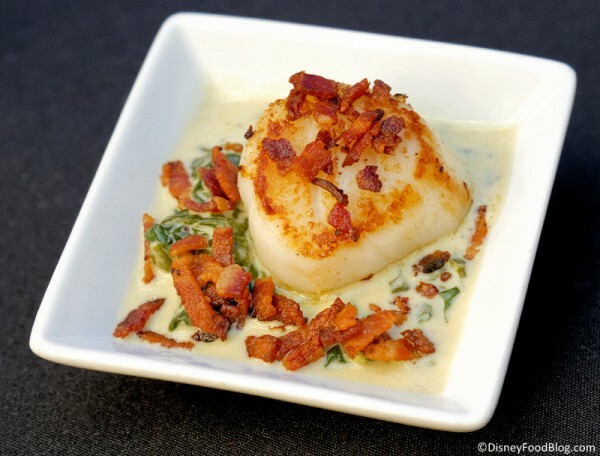 We’ve tried the Seared Sea Scallop with Spinach-Cheddar Gratin and Crispy Bacon…pretty sure this one’s destined to be a big hit. And for a sweet ending, we look forward to sampling the Crannachan, a traditional Scottish Dessert Trifle. And after reading a little about iCing Grapefruit Sparkling Rice Brew at the South Korea Booth I can’t wait to try it! 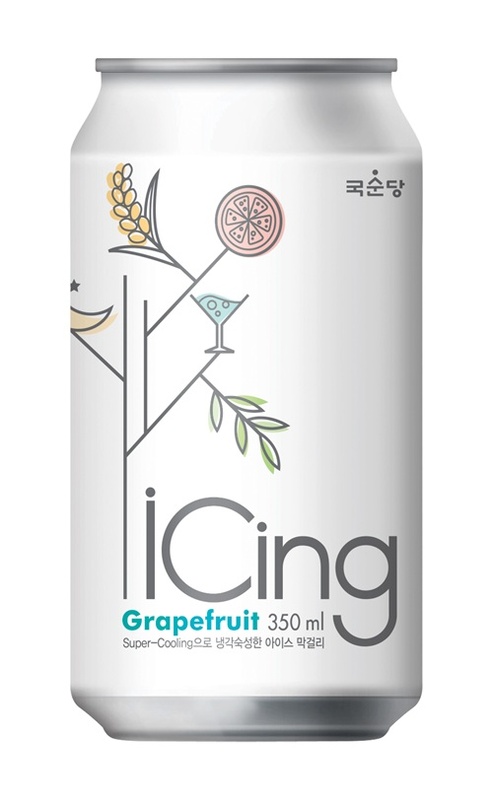 It sounds like a cross between Nigori Sake (the slightly sweet, unfiltered stuff) and Soda. How can you go wrong with that?? Totally Vegan Terra has changed up its menu every year since it arrived on the Promenade, and 2014 is no different. This year, check out the brand new lineup of vegan goodies you can sample! 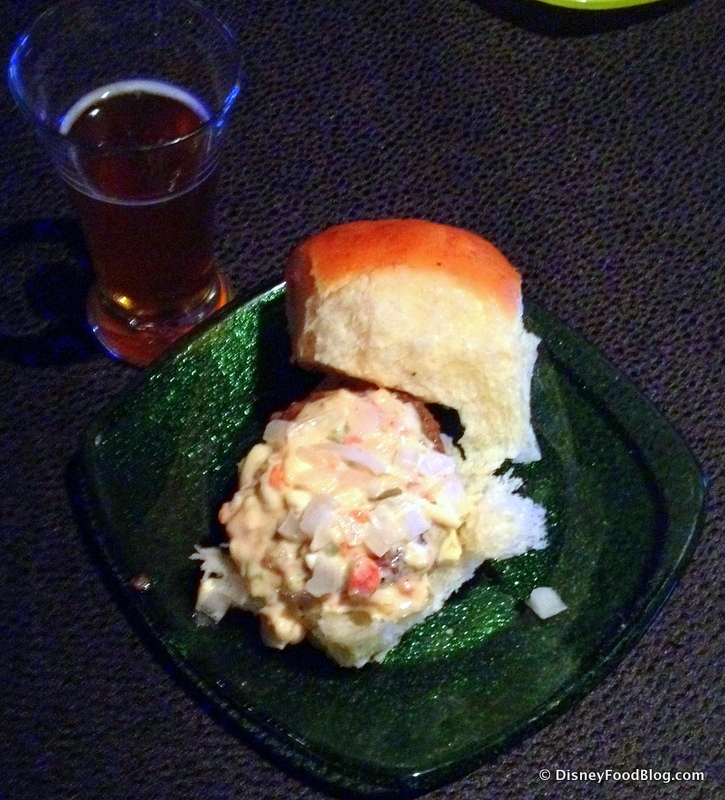 We had the chance to try the CraB’less CraB Cake with Pepper Slaw and Cajun Remoulade, and thought it was a great addition to the lineup! What new dish are you most excited to try at this year’s Epcot Food and Wine Festival? Let us know below in comments! Yum!!! Everything looks amazing! Although I should have *not* read through this at midnight! 😀 I can’t believe it’s time for F&W already! Maple seems to be one of those flavors that people either love or hate, and I think that most folks associate the fake pancake syrup for “true” maple…it isn’t!! As a kid, we used to pour hot maple syrup onto snow packed into cake pans, making little swirls and twists. The syrup would solidify into chewy candy. It was delicious! If you’re into very VERY sweet coconut desserts, you’ll like cocada. It’s a bit too sweet for me, pure sugar/condensed milk almost, but still very good! Ahh only 29 days left for my trip, I’m too excited! Any idea what the vegan trio will be at Intermissions Cafe? It would really be fun to see a post rounding up and reviewing all the vegetarian and vegan options at the F&W Festival! Bonnie — No word yet on what the trio will be. We figure that’s so they have some latitude to change things up a bit during the Festival. 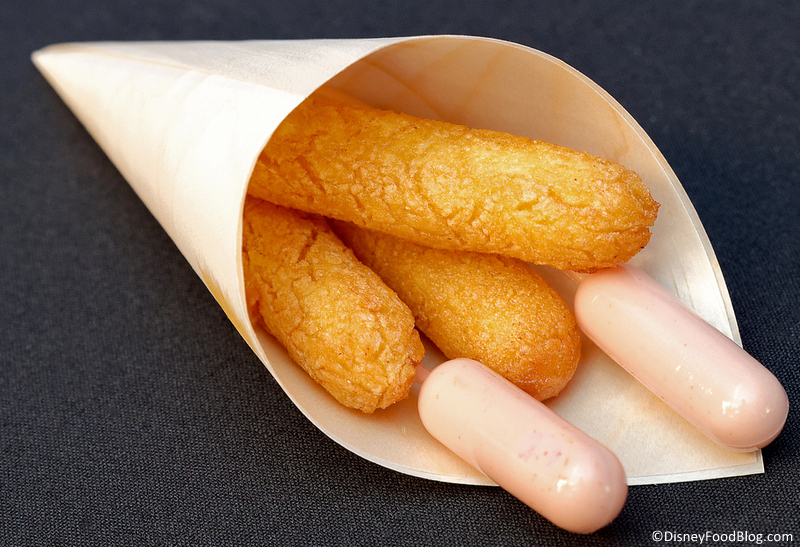 But stay tuned — we’ll have full details about all the 2014 Marketplaces and other Festival foods next week! Everything at the Australia booth looks good. I admit that I haven’t read this whole post yet because it’s a lot of information. I am 3 weeks out and need to get my game plan together. 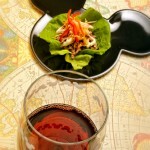 I noticed yesterday that on the Disney website there are food items (that sound great!) listed at the Craft Beers marketplace. Have you heard anything about these?? Luvf&w — Nope, those are brand new! Thanks for the heads up. I’m adding them to the menus right now, and we’ll have pics of each of the items later this week! AJ- awesome.. Looking forward to it! Thank you for doing such an amazing job on this site! Thanks for the great post!! 53 days and counting!!!! inch and a half too crusty piped on pile of mashed potatoes (the taste of instant from a box) and a tablespoon underneath of some liquid that did not taste like lobster but apparently had a few carrots and no seafood/ lobster found. Awful and more expensive than other “tastes”.